It’s a day of love and remembrance for our pet friends. In addition to National Pet Memorial Day today, we can also celebrate National Hug Your Hound Day. National Hug Your Hound Day was created by Ami Moore, author and Canine Behaviorist. Her desire is to make America more “pup friendly”, as it is in Europe. She would like for our dogs to be accepted in more places, especially public ones such as taxis, malls and restaurants and to appreciate the companionship our dogs give us and the value of it, both emotionally and physically. National Hug Your Hound Day is observed annually on the second Sunday in September. This day is dedicated to your furry pooch and the way your dog spends her day. National Hug Your Hound Day is about truly observing your dog (from his point of view) in his environment and everyday life. As you celebrate your furry friend, remember that today is about keeping our hounds healthy, happy and safe. Take today to spend a little extra time with your pups, get down to their level and make sure their environment and the places you take them are warm, comforting, inviting and safe. Oh yeah, and give your hounds some hugs! 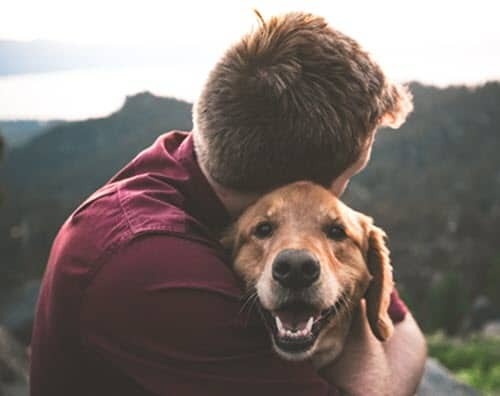 Use #NationalHugYourHoundDay to post on social media.